In computer all information is stored and transmitted in digital form. This applies to text - letters, numbers, punctuation and control characters in text documents are translated into their associated numeric notations. 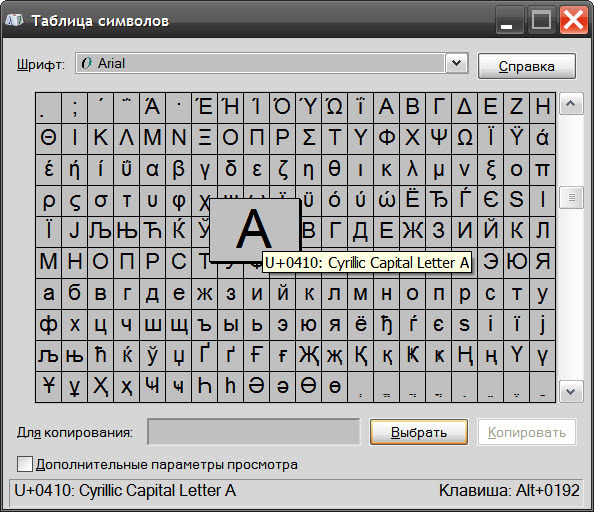 Tables that define the sequence number of each letter, called "coding tables". Almost every programming language has built-in functions to get the numeric value mapped to the table specified letter. In PHP there is a function ord which allows you to specify the character code in ASCII. Save the snippet of php code, like so:<?php echo ord('f'); ?>If this code placed in a web page and execute, then it will display a number that corresponds to the specified quoted the letter "f". You can replace this letter with another letter, a digit or a punctuation mark to see the corresponding numbers in one of the most common coding tables ASCII (American Standard CODE FOR Information Interchange American standard code for information interchange"). Use a Windows component called "character map" if you want to know the hex numbers of letters used by the operating system. To start it, open the main menu on the "start" button, go to "Programs", then to "Standard", and in it expand the section system tools and select character map. You can not to go in the menu and use the dialog box run programs - press the key combination WIN + R, type charmap, and press Enter. Click in the table you are interested in the letter or sign in the lower left corner of the character map will see after the characters U+ hex code of this sign. He will be presented in a tooltip when you hover the mouse over the sign in table.